Bartenders actively listen to your customers to have a productive and lucrative career in bartending. Bartending is a skill that incorporates more than slinging a few drinks together. It really involves actively listening to your customers and responding appropriately. If you do not have great communication skills you will need to learn some in order to have success in the profession. On any good Friday night a bartender is rushing about looking for customers who need refills, greeting customers who just walked into the establishment, paying close attention to how much customers are drinking and finally watching for any bad situations that may arise in the bar. Now in the world of bartending we can not give everyone free drinks when they have to wait.This is just a quick example of how to paraphrase in order to let your customer know that you understand why they are upset. If you understand your customers needs nonverbally and verbally you are on the right track to actively listening. When learning to how to actively listen to your customers it is important to have appropriate eye contact. This can be tricky for some. Too much eye contact can scare your customers, while too little eye contact can make your customers feel like you are not interested in what they have to say. A good rule of thumb is to look at your customers when they are speaking to you. Once they have gotten their point across you can continue doing what you were doing. Posture says a lot about a person. 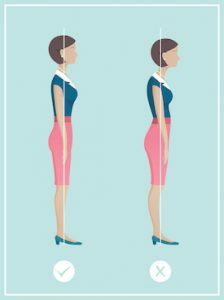 Standing erect with your shoulders back says that you are very confident in yourself. Slouchy or leaning on the bar can come across as either laziness or self-doubt. Your customers want someone they can rely on. Always be aware of your posture while serving drinks. In a busy bar this is easily said than done. However, it is important to let your customers know they are important to you. With that being said, take care of one customer at a time and carefully listen to each one. Multitasking is important but not at the expense of your customers needs. 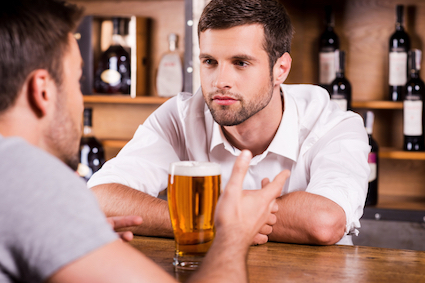 A great bartender who actively listens will ask appropriate questions when trying to help their customers. Sometimes the question is a simple as, would you like ice with that? Asking good questions is practically common sense. Yet so many people don’t ask the right questions or misinterpret what their customers are saying. In order to actively listen to your customer and serve them you really need to learn how to ask the best questions. As a bartender we tend to be a counselor, caregiver and public servant to our customers. It’s important to actively listen and have good communication skills in this field. I implore you to start implementing good actively listening skills into your job and to continue learning new communication skills that will help with your customer service. Your customers will be happy that you took the time to really take care of their needs.